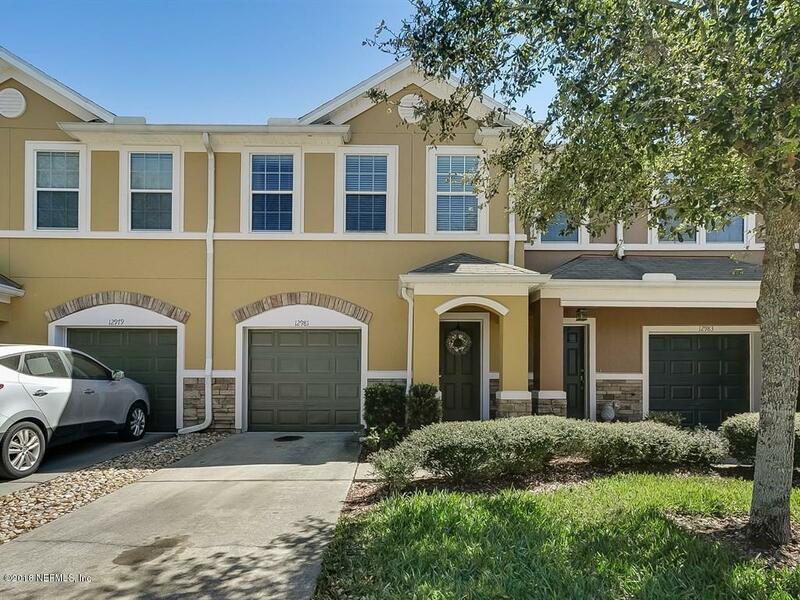 Well maintained 3/2 townhome with quick access to I95 and Racetrack Road. The community offers a pool and fitness center. From the patio, you will have partial water views. The townhome is located in one of the original structures by the builder using concrete block. The a/c system is oversized as well and has a system in place with two thermostats that control different temps upstairs and downstairs, so you are not cooling both levels with same temp which cuts down on utility bills. Carpet on stairwell and upstairs area was installed about 2.5 years ago. If you are a first time home buyer and require closing costs assistance, please contact a lender that assists with closing costs. I have several referrals.